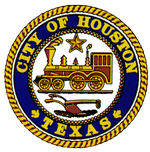 Open 2015-2018 Crime Stats for Houston Texas. Monthly overtime totals by department and job title for 2015-2018. 311 data requests for the year 2017 including the request during Hurricane Harvey for a research study.